Comment: Two empty bedrooms have carpeting from previous owners. There are many deep indentations on the carpet from where their furniture was placed. Each indentation will require hand scrubbing and brushing to restore it to the height of the rest of the carpet. There are approximately 10 indentations in each bedroom. Comment: I have 2 leather recliners and a small leather easy chair that have soiled spots due to normal use. Comment: Town house 20 by 40 feet per floor. Clean 2 floors - exclude kitchen and entry foyer. Falls Church Carpet Cleaning Services are rated 4.81 out of 5 based on 1,316 reviews of 23 pros. 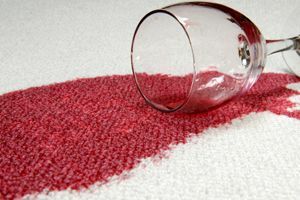 Not Looking for Carpet & Upholstery Cleaning Contractors in Falls Church, VA?